[Bo Bice mixing contest critique comments] WOW! Very nice arrangement with the build, textures. You’ve captured and added to every essential element. Wish I had done it! Excellent. Take your music to the next level with high-end, professional mixing from Stephen Sherrard, via the internet or in person. Major label quality professional multitrack mixing, at a much more reasonable price, by an experienced full time professional. Award Winning Mix Engineer Stephen Sherrard has the experience, technical skills, musical background, and proven expertise to get your music sounding the way you want! When you hire Stephen Sherrard to mix your music, you get personalized, one on one service, by a true professional who understands that every artist and song are unique. Stephen doesn’t use the same templates, effects, and settings for every song. He starts each mix from scratch and carefully listens to the artist and each song. He lets the music dictate the choice of levels, processing, and effects, so that the true emotional message of the song is conveyed to the listener in the best possible way without the mix drawing attention to itself. Stephen Sherrard has that rare combination of a broad musical background and extreme technical expertise that allow him to give your music the maximum impact. Stephen Sherrard will work with you every step of the way, with personalized support that is second to none! From preparing your projects, and uploading the files, discussing the sound you are after and any special effects you need, to fine tuning the mix after your review, all the way to the final masters and even high quality MP3 encoding, Stephen spends as much time working with you as he does on the mixing. This is not a mixing factory that cranks out cheap mixes as fast as possible. Stephen takes the time to give your music the results it deserves! Mixing requires highly technical and creative skills at the same time. For professional results, you need to work with an experienced professional! Mixing is not something you can learn to do well in a short time, or without real world training. Stephen is an Award Winning Mixing Engineer who has been involved in music all his life, and has been producing, recording, and mixing music since the 1980s, including several years as a staff engineer at one of the largest studio facilities in the Seattle area, Triad Studios. Producing, recording, and mixing music has been Stephen’s full time profession since 1994, and a very serious hobby for many years before that. Stephen takes a hybrid approach to mixing, working mostly in the box with a huge collection of all the best plugins, but also splitting out key tracks, groups, or even the whole mix to his collection of analog compressors. While nice gear certainly helps, it’s the ears and not the gear that makes all the difference! Stephen has the ears and the natural talent to get a great sounding mix using any available tools! Stephen got into mixing right as digital was starting to become popular in recording studios. He has recorded and mixed with a wide variety of analog and digital equipment, getting his start with analog tape and consoles and gradually transitioning to digital as that technology matured. With a degree in Electrical & Computer Engineering, Stephen has always embraced computer technology, but is equally at home on all analog systems. 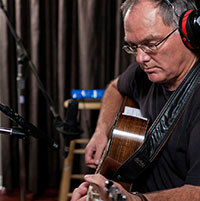 These days, Stephen prefers working from his own studio with the hybrid approach, which allows quick and easy recalls. Stephen can easily switch between several projects, and quickly make mix revisions for any client at any time. However, if you prefer to have your song mixed on an all analog system, there are several larger studios in the area that still maintain classic analog boards that Stephen can rent out for mixing, if your budget allows. If you have questions about how all of this works, please check out the FAQ page for much more detail, and the Pricing page for current prices. Then, when you ready to submit your music for mixing consideration, use the Mixing Submissions page. Stephen keeps fairly busy with mixing, as well as his own productions, so he is selective about the projects he accepts. Mixing is what he enjoys most, so Stephen will take on most projects that he feels he can do a good job mixing. However, if he feels the quality of the recorded tracks are not something he can do a good job with, he doesn’t want to waste anyone’s time or money, and won’t accept the project. 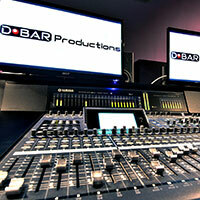 Music production, recording, and mixing from Award Winning engineer Stephen Sherrard. 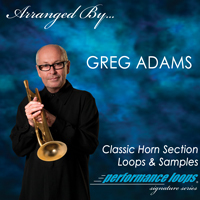 Download Professional Loop & Sample products from producer/engineer Stephen Sherrard. 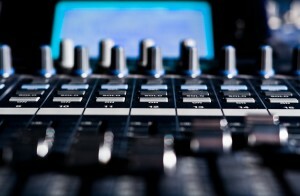 Music-And-Technology.com Resources for the Recording Musician.